When Heather said she was doing a series of posts leading up to Earth Day, I got excited and was more than willing to contribute. While families of the homesteading variety tend to be pretty good stewards of the Earth 365 days a year, it is still nice to have one day each year where we stop and think, in specific terms, about what we can do to protect our one and only planet. One thing we all know is that humans produce A LOT of trash. Luckily, recycling is becoming more common across the globe. On the other hand, there are still a lot of inefficiencies in modern recycling and at the very least, it requires that a truck drive around, pick it all up, and transport it somewhere else. On this Earth Day, I propose that we all try to have less “stuff” leave our home, either in the form of trash OR recycling. 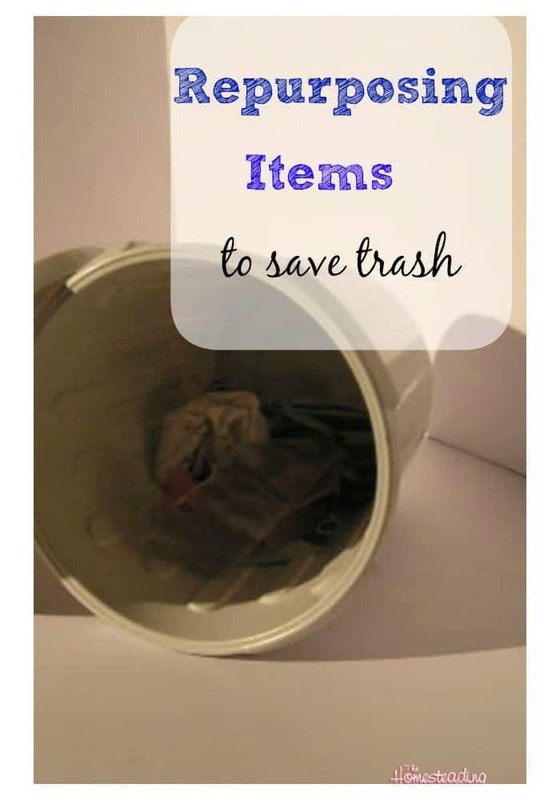 One way we can do that is through reusing things that might have otherwise been trashed or sent to a recycling center. 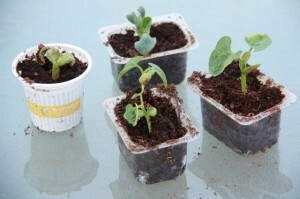 In our house, we are accomplishing this goal by reusing old food containers to start seeds this spring. 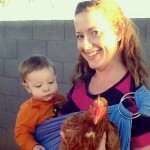 (I noticed that Heather did a post recently about her family’s reuse of k-cups.) Once I started saving all of the small plastic containers that we go through in a week, I began to wonder why I had ever purchased four-inch pots in the past. Having a one-year-old who is going through a lot of baby food is certainly helpful, but if you eat yogurt, salsa, applesauce, etc., I think you’ll find that your family produces a lot of plastic container waste as well. 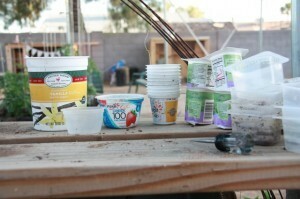 Fill them up with wet seed-starting mix and plant your seeds. 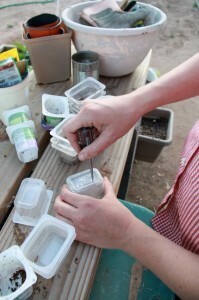 I am particularly fond of using the clear containers because you can see the roots growing. This provides a great teaching experience for the kids. There you have it! Happy Earth Day 2013! What are you doing this year to celebrate? Up-cycling is my favorite! What a simple but ingenious idea. Thank you for sharing. isn’t it cool? And to think, I used to just throw that stuff away! Hi Mary Catherine! Nice to have you here!